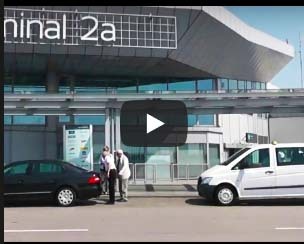 TAXI BUDAPEST AIRPORT - BALATONKENESE. PRIVATE CAR, MINIBUS, ENGLISH SPEAKING DRIVER, FIXED PRICES. - SIÓFOK TAXI - SIÓFOK VIP CAB SERVICE AVAILABLE IN BALATONKENESE AS WELL. Siófok taxi is at our dear passengers' service in 0-24 hours in Siófok and the surroundings of the Lake Balaton. Apart from our main taxi service, we also provide professonal chauffeaur service with qualified drivers, airport transfers from / to Budapest Airport, Vienna Airport, Bratislava Airport, Graz Airport, Hévíz Balaton Airport from / to Siófok and Lake Balaton. Our services, excursions with minibus for smaller groups, with english speaking driver: Budapest sightseeing tour, Lake Balaton scenic tour, Taxi service in Balatonkenese, Transfers from Budapest to Balatonkenese (MARINA PORT, TELECOM HOTEL, YACHT CLUB), Accommodation Siófok (direct online booking), Sunset tour by sailboat on the Lake Balaton from Siófok Port. We provide transfer service for sailing races and competitions - BALATONKENESE MARINA PORT, BALATONFŐI YACHT CLUB BALATONKENESE - Taxi service, minibus service, airport pick up and transfer from and to Budapest Airport, Vienna Airport, Siófok Airport. Balatonkenese Taxi Service (our home town is Siófok) is the market leader of taxi, minivan taxi and airport transfer category in Balatonkenese and Siófok at the Lake Balaton. We have the references of the best hotels, restaurants, travel agencies, firms in Siófok. Our services are available all the year. Taxi ordering is possible in 24 hours a day in Balatonkenese and its peripheral townships at the Lake Balaton in Hungary. Beyond the basic taxi cab services as transport and airport pick up and transfer we offer the following services: driver service, dispatch service, wrecker service, flower delivery. Siófok Taxi is mainly present in: Siófok, Zamárdi, Balatonkenese, Balatonfőkajár, Lepsény, Füle, Csajág, Enying, Balatonvilágos, Balatonakarattya, Balatonaliga, Balatonkenese, Balatonfűzfő, Balatonalmádi, Szabadbattyán, Polgárdi and other settlements of the South- Eastern coast of the Lake Balaton, where local taxi/minivan service is not available. 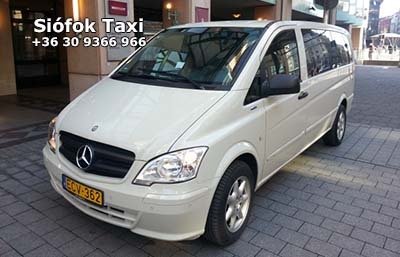 Taxi Siófok, Balatonkenese – VIP Transfer Budapest Airport - Balatonkenese - Siófok Taxi - VIP CAR SERVICE - VIP Transfer Budapest - Balatonkenese - Mercedes E class for max 3 passengers, luxury airconditioned VIP cab. 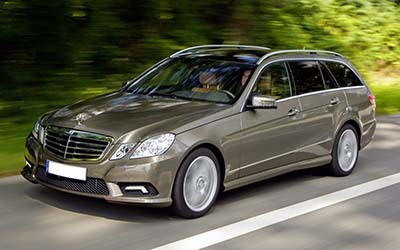 We suggest our E-class Mercedes with English speaking driver and big luggage-rack for airport transfers. We accept creditcards in case of prebooking. Balatonkenese Taxi – luxury minivan taxi cab, which is only allowed for the transportion of the maximum of 6 passengers according to the law. With even more space and luggage-rack, it is really comfortable for long trips, airport transfers, hotel transfers, international journeys with many suitcases. Fully air-conditioned premium category, especially for smaller groups. 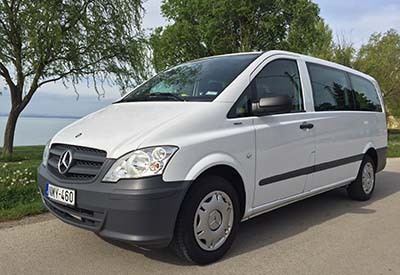 Balatonkenese, Siófok Minibus – Mercedes Vito minivan for 8 passengers, fully air-conditioned, premium category. Best option for companies, sports events, conferences. English, German, Hungarian speaking driver, payment with creditcard is available. We recommend this service for hotels, travel agencies, companies to carry out airport transfers or international trips. Between Budapest Airport and Balatonkenese, the price can be more reasonable than travelling by train or bus.